You can never have enough self-care accessories, and thanks to Women's Health, we're now eyeing this sleep mask from Alaska Bear. A best seller on Amazon, the $10 mask has amassed just over 9000 customer reviews on Amazon, 7313 of which are five stars. Considering the vital importance of a good night's sleep (and how difficult it is to consistently clock your standard seven to eight hours), we're fully on board with this sleek sleep accessory. "This is the best sleep mask I have ever bought," writes one customer, who notes that it's even better than expensive masks purchased in department stores. "I didn't even know it was on my face, the mask is so soft and light," adds another. Many also note how well it blocks out 100% of light, making for a restful night's sleep time and time again. The mask is made with 100% mulberry silk on both sides and features an easy-to-adjust headband that rests right at the back of your head. The company claims it can help with issues like insomnia, migraine headaches, and dry-eye sufferers, thanks to the breathable, hypoallergenic silk. As for the inspiration behind the sleep mask, Alaska Bear is all about sleep quality. "The hormone melatonin regulates the day-night cycle of the human body and controls the recovery phases during the sleep," the brand explains. "For the production of this hormone, the human body requires sufficient darkness … even a little light caused by any electronics like your cable box, laptop, [or] digital alarm clock can be a disturbance. The best sleeping mask, however, will naturally help you increase melatonin levels and [improve] REM sleep." 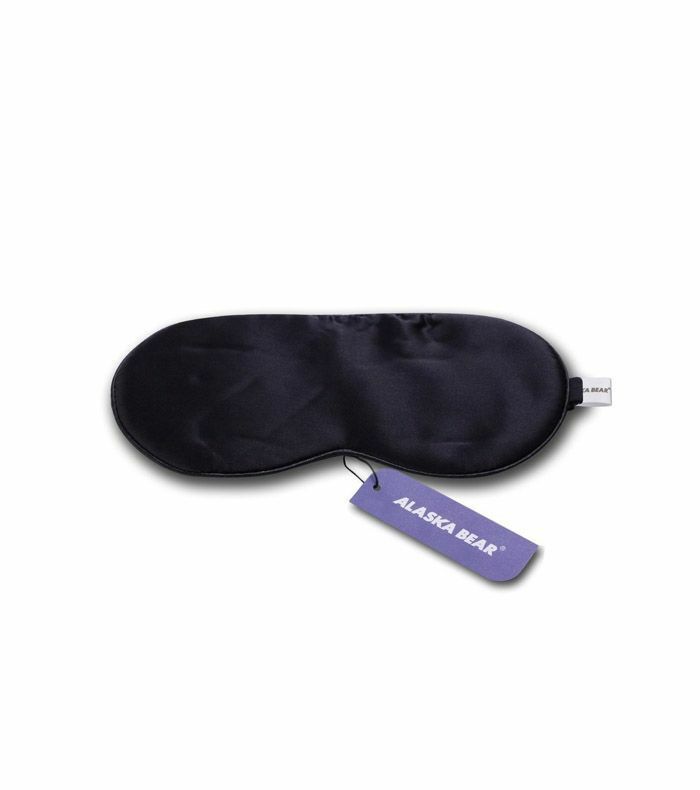 Shop Alaska Bear's sleep mask below, and pick up the matching silk pillowcase for even better sleep. Next up: Amazon's best-selling face mask is just $12 (and 6000 reviewers love it).